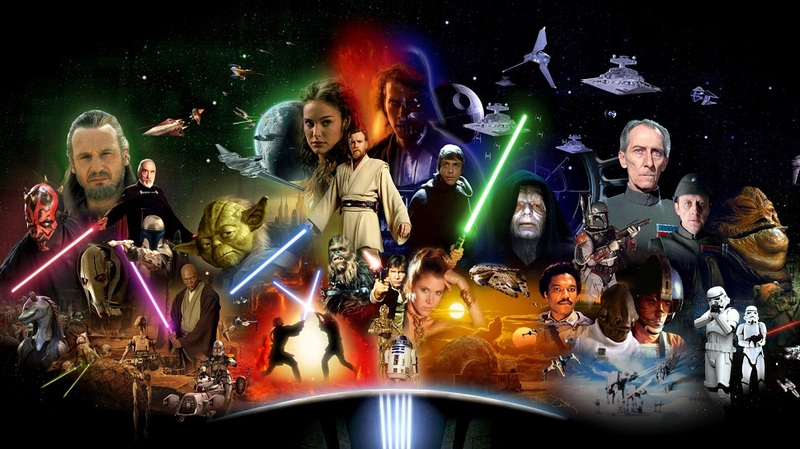 Star Wars is a very special movie franchise, for several reasons. 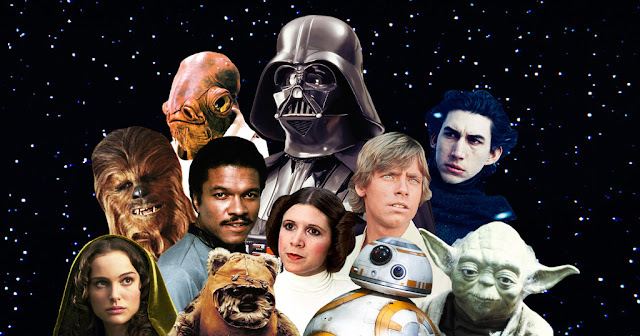 It stands to reason that the original Star Wars (A New Hope), which hit theaters in 1977, is probably one of the most influential movies of all time, and it left the biggest impact on pop-culture overall. Even people who aren't fans of Star Wars are familiar with Darth Vader. If you ask a random person on the street if they are familiar with R2-D2, most will reply yes. And which kid hasn't ever dreamed of wielding a lightsaber, flying an X-Wing, or hugging Chewbacca? If it hadn't been for George Lucas creating the first Star Wars over 40 years ago, then pop-culture would be very different. In 1977, he unintentionally created a widely-successful franchise that would grow a strong fan-base for more than four decades. This franchise would lead to a total of (as of now) 8 movies, 2 spin-offs, and two animated TV shows. Plus, one of them (The Force Awakens) would become the most-selling movie of all time at the international box office. Did I mention that Star Wars movies have earned more than $4.06 billion dollars in ticket sales along? Disney is sure getting crazy rich off of it. That's right, I am asking whether or not the 40-years old, money-printing film series will ever stop having content. Star Wars fans might be confused at such a question. They may think, "Of course it will continue! Why else would Disney want to stop their only I.P. that even has succeeded without their ownership? It prints money!!!" And all of this does seem reasonable at first. I mean, it even stands to reason that Star Wars may go down the Marvel route and make a movie (or two) every year. The pros to this? Plenty of content, and much more money to earn to make more movies. The cons to this? Fans would get bored of it, movies might be more rushed, and plots less fleshed-out. Let me explain, using the two different possibilities, ranked in no particular order. Possibility A: They keep milking fans of their money with more movies, and the original fanboys won't live to see all of them; Or Possibility B: After Episode 9 releases in 2019, they will stop making any sort of Star Wars content altogether. It's time to discuss all of these possibilities in depth. Possibility A: Star Wars Means Forever! If this were the case, then Episode 9 wouldn't be the end of the saga, and adventures of the non-Skywalker family (I'm looking at you, Rey) would continue to be shown over and over again, with no true end in sight. You may think that this means instant money for Disney. But think again. You see, they can't keep fans' interest forever. First of all, the original fans (the one who grew up watching the original trilogy in the 80s) would be long dead by the time that Disney finally goes bankrupt. And second of all, those who are still alive would get bored of watching the same stuff over and over again. Look, I love Star Wars and all, but if you keep giving us trilogies of good v.s. evil over and over again, I will probably stop watching them eventually out of boredom. That doesn't mean that Disney making more Star Wars movies would be a bad thing. Far from it. It depends on exactly how they manage that. But I will discuss that further in depth in sections B and C. Here we go on to the next possibility! Yep, we're talking about this one. 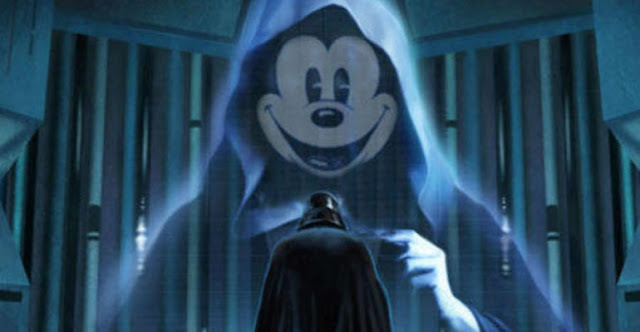 The most controversial possibility of them all: After Episode 9 is released at the end of next year (2019), Disney will take a big bow and say goodbye to making new Star Wars movies. This may sound bad for some fans who love the new movies and want more content. This is semi-good news, however, for those fans who despise the new trilogy of movies and want it to end (I'm looking at you, Last Jedi haters). For me personally, I love the new trilogy so far, and while it hasn't been absolutely perfect, it certainly is better than the George-Lucas-made prequels. Also, I looked it up, and here is a definitive answer: No. Star Wars won't end. There are at least 7 new movies in the works. A spin-off movie about Rain Johnson (director of The Last Jedi) is directing a three new so-far-untitled movies on his own, but we have no idea what it is about. A spin-off movie is rumored to be slated for 2020, which will be about Obi-Wan. And we all are aware that later on this month, Solo: A Star Wars Story will hit theaters, which is more than a year before J.J. Abram's Episode IX. Conclusion: So, how long will Star Wars live? So, yes, Star Wars will continue. It is confirmed by Disney's own announcements. But that isn't the real answer to my question. Will it be FOREVER? Or just until people get tired of it and they can't make money out of it any more? Most likely, that will be the second option. No franchise lasts forever. Let's look at it this way: Star Trek is very similar to Star Wars in many ways. (I'm not talking about plot-wise.) Both of them are science fiction franchises that have made lots of money over the years. The difference? There are quite a few. First of all, Star Wars has earned near 10 times the amount of money Star Trek has in films and merchandising. Also, Star Trek doesn't make movies anymore. So, as I look into my fake crystal ball (which is actually a small, red marble on my desk), I can tell you one prediction: Star Wars will eventually become like Star Trek. Give it a few more decades or so to stop the TV shows as well, maybe make some more books for fun, and then end it entirely, while still not leaving it alone. My (probably inaccurate) prediction is that Star Wars will be a thing of the past near the year 2045 or so. It is still very possible, though, that we will get a reboot 20 years from now. Sort of how like The Force Awakens was meant to be a nostalgic-return to the franchise after so many years of waiting. The kids who are growing up watching the new trilogy now (around my age or younger) will be excited to see that reboot, and it would generate lots of money, too. Don't be sad, however. 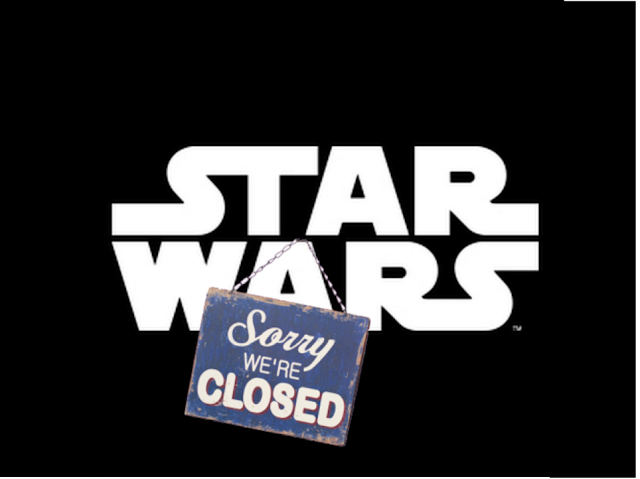 Just because Star Wars will inevitably end in the future, that doesn't mean it is "dead". It will definitely live on in the memory of society as the whole. How could it not? It has been so influential on the lives of many, and so successful as a series. In fact, here is a fact that you can look up for yourself: Star Wars is the #2 highest earning intellectual property of all time! (Eight behind Pokemon, which is surprisingly #1.) These movies have shaped the childhood of hundreds of millions of people. We even have a holiday, May 4th, to celebrate how special these movies are.So, just like how Jedi turn into Force Ghosts after death, Star Wars will never die. To sum it all up, here is a quote from Yoda himself: "Death is a natural part of life. Rejoice for those around you who transform into the Force. Mourn them do not. Miss them do not. Attachment leads to jealousy. The shadow of greed, that is." In memory of Carrie Fisher, 1956-2016. May the Force be with you, always. escoose me, meester grammer polise? dis is da iternet, end no wun cere abot grammir! i install grammirly on my gogle chrom, okey? I is in honors ELA, okeys? i has amezing grammers! donut doubt me ever! judge me do not! okeys? silly grader of 6th, i no wut im doing! NO YOU!